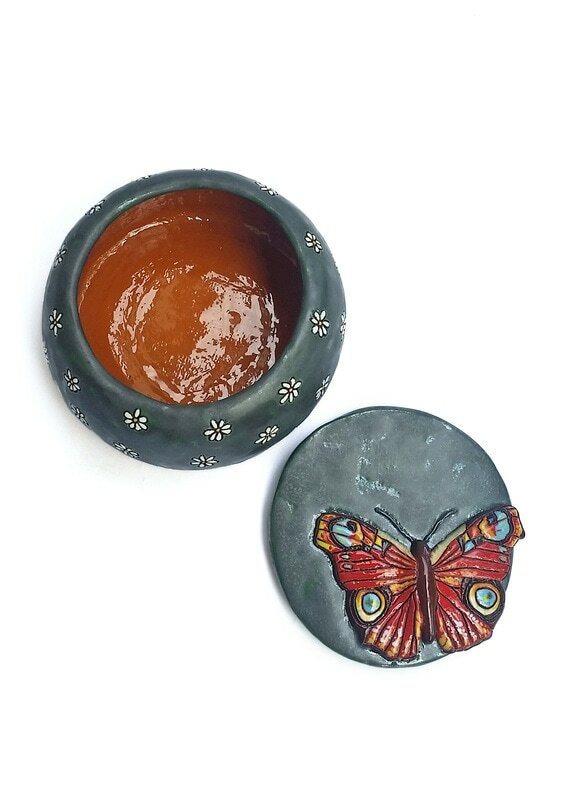 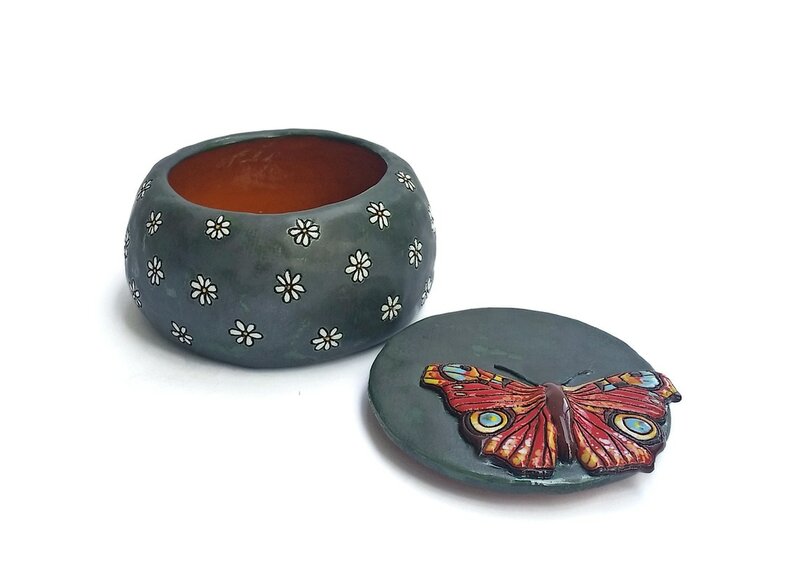 This is a ceramic box with a colourful butterfly resting on the lid and daisies scattered across the metallic grey and green patched base. 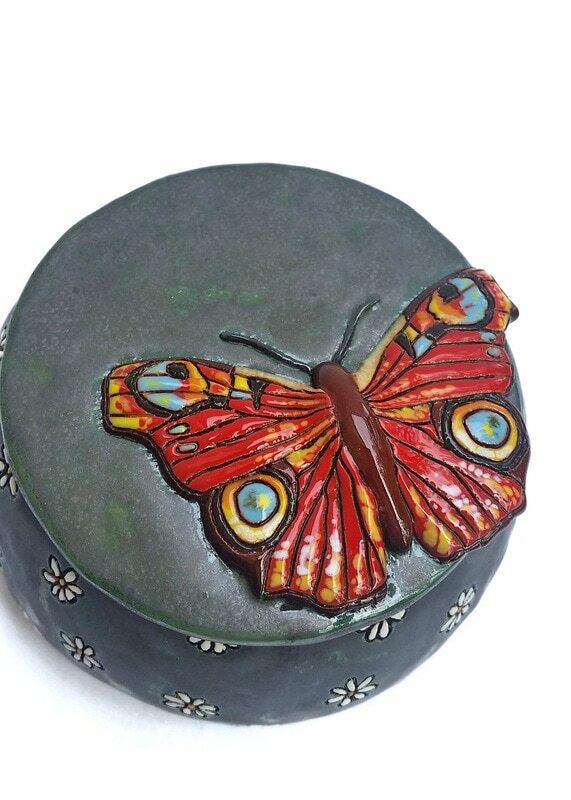 The butterfly is covered with mixed-in colours with aquarelle-like brush strokes for a more realistic and dynamic feel. 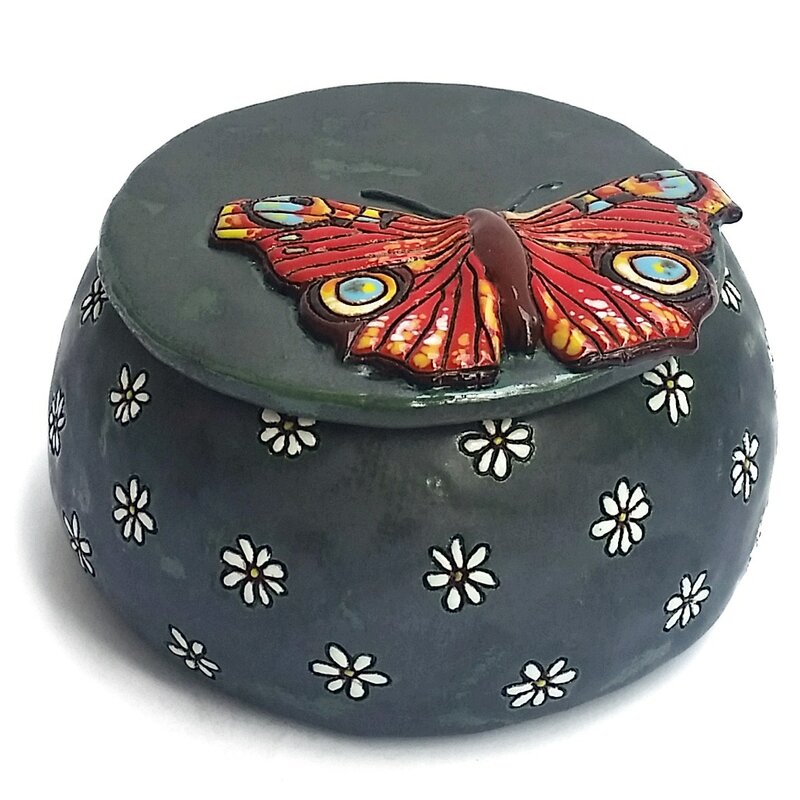 A lovely and eye-catching accent for the kitchen, bookshelf or for that very special corner inhabited by your treasures and memories. 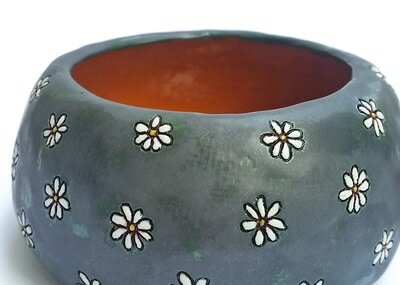 Approximately 8 cm (3.1 in) tall and 13 cm (5.1 in) wide.